It may seem like a bold statement to call a vehicle Prime but when Toyota recently unveiled its new hybrid at the New York International Auto Show it fast became clear that this was no ordinary vehicle. If you have been toying with the idea of investing in a hybrid, consider this your cue; let’s take a look at some of the many highlights of this revolutionary ride. The Toyota Safety Sense Package comes standard, so you and your passengers will enjoy industry-leading levels of protection. Safety features include a Pre-collision system with Automatic Braking and Pedestrian Detection, a Lane Departure Alert with Steering Assist, Automatic High Beams and Full-Speed Dynamic Radar Cruise Control. There is also a comprehensive suite of airbags providing protection everywhere you could possibly need it while upgrades such as the Rear Cross Traffic Alert and Blind Spot Monitoring are available and well worth the investment. The new Prius Prime is 60mm longer, 15mm wider and 22mm lower than its predecessor, so you will have plenty of room for everyone and everything that you need to accommodate. The use of stronger, lighter materials, such as high tensile steel, carbon fibre and quality aluminum, cuts overall curb weight dramatically and an ingenious aerodynamic design is predicted to achieve the lowest drag rate of all production sedans. The edgy front grille even gets in on the action by featuring automatic shutters that close whenever airflow to the radiator is no longer needed. The new Prime effortlessly orchestrates a smooth supply of power from both the electric motor and the gasoline engine, thanks in large part to Toyota’s Hybrid Synergy Power Train. A 1.8L Atkinson cycle 4 cylinder engine offers 40%+ thermal efficiency and the largest Prius battery ever (8.8kWh) means you can stay in EV mode more often. Regenerative braking captures energy normally lost, storing it for future use, and a dual motor generator drive system maximises acceleration power by utilising both the generator and the electric motor for drive force. The fuel efficiency of this new Prius is another clear and obvious highlight, requiring just 1.96L/100km; in fact, on a full tank of regular grade gasoline and a fully charged battery this incredible vehicle is expected to have a range of 965km! This is far more than just an ultra-efficient vehicle as it was designed to ensure that you and your passengers enjoy every minute of every drive. Showcasing elegant lines, opulent upholstery and high tech sound insulating properties, there is also plenty of legroom for all on board and the 60/40 rear seats can be folded down to increase cargo space dramatically. The full colour multi-informational display can be controlled via steering wheel mounted controls; the available JBL Audio System provides rich, clear sound right throughout the vehicle, and voice recognition technology allows you to control everything from your phone to the tunes hands free. If you are thinking about investing in an extra special vehicle this year you won’t find many better than the 2017 Prius Prime. 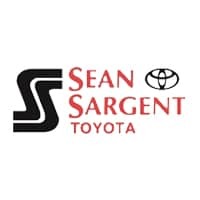 This incredible new hybrid will be available in late fall and there is no better place to get yours than here at Sargent Toyota where our team of experts will be happy to help you find the perfect one to suit you. You will find us conveniently located here at 10625 117 Ave Grande Prairie; drop by and see us today!